Kari Cobb, a career technology and STEM teacher at Northside High School, was named a 2018-19 Kenan Fellow. Her fellowship was made possible through a partnership between Jones-Onslow Electric Membership Corporation, North Carolina’s Electric Cooperatives and the Kenan Fellows Program for Teacher Leadership at N.C. State University. Cobb, who has been teaching for nine years, was among the 25 teachers from across North Carolina selected to participate in the 2018-19 fellowship year. Beginning in June, she worked alongside mentors and industry experts at Jones-Onslow EMC learning how power was generated and delivered; and exploring the history of the electric cooperative model and how Jones-Onslow was innovating its services and enhancing systems to continue to meet, and exceed, the expectations of its members. Cobb will transfer this knowledge to her students by creating lessons that will help them understand how electricity is produced and delivered to cooperative members. Her lessons will also increase their awareness of various career pathways in the energy field and at the cooperative. 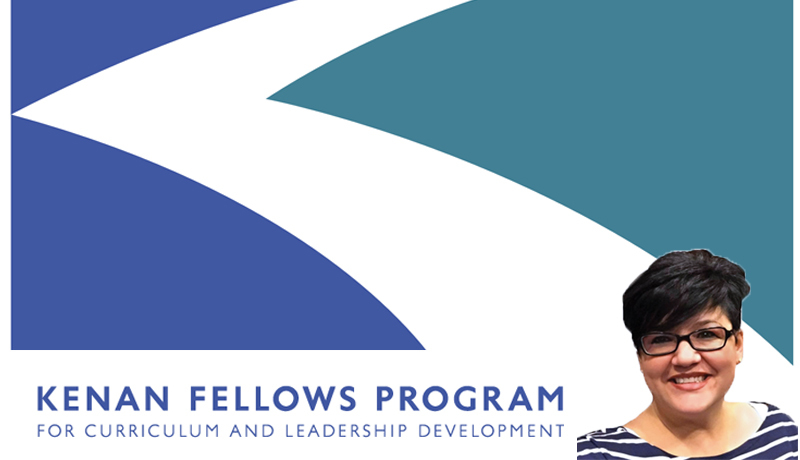 As part of the award, Kenan Fellows receive a $5,000 stipend and participate in 80 hours of professional development focused on project-based learning, digital learning and leadership development. Educators who complete the year-long program remain in the classroom while growing professionally as part of a statewide network of teacher leaders. Today, an elite network of more than 420 Kenan Fellows are working to improve Science, Technology, Engineering and Math (STEM) education in North Carolina and beyond. The Kenan Fellows Program, based at N.C. State University, bridges STEM at work with STEM at school. Kenan fellows connect with mentors in industry and business settings, building meaningful relationships and creating experiences that will inspire new tactics to help students understand how STEM concepts apply in the real world.